May 29 is the 149th day of the year(150th in leap years) in the Gregorian calendar.There are 216 days remaining until the end of the year. 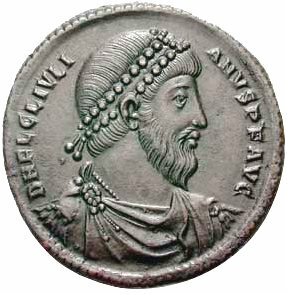 363 – The Roman emperor Julian defeats the Sasanian army in the Battle of Ctesiphon, under the walls of the Sasanian capital, but is unable to take the city. 1108 – Battle of Uclés: Almoravid troops under the command of Tamim ibn Yusuf defeat a Castile and León alliance under the command of Prince Sancho Alfónsez. 1167 – Battle of Monte Porzio: A Roman army supporting Pope Alexander III is defeated by Christian of Buch and Rainald of Dassel. 1176 – Battle of Legnano: The Lombard League defeats Emperor Frederick I. 1658 – Battle of Samugarh: decisive battle in the struggle for the throne during the Mughal war of succession (1658–1659). 1660 – English Restoration: Charles II is restored to the throne of England, Scotland and Ireland. 1733 – The right of settlers in New France to enslave natives is upheld at Quebec City. 1780 – American Revolutionary War: At the Battle of Waxhaws, the British continue attacking after the Continentals lay down their arms, killing 113 and critically wounding all but 53 that remained. 1798 – United Irishmen Rebellion: Between 300 and 500 United Irishmen are executed as rebels by the British Army in County Kildare, Ireland. 1807 – Mustafa IV became Sultan of the Ottoman Empire and Caliph of Islam. 1852 – Jenny Lind leaves New York after her two-year American tour. 1861 – The Hong Kong General Chamber of Commerce is founded, in Hong Kong. 1864 – Emperor Maximilian I of Mexico arrives in Mexico for the first time. 1867 – The Austro-Hungarian Compromise of 1867 ("the Compromise") is born through Act 12, which establishes the Austro-Hungarian Empire. 1868 – Mihailo Obrenović III, Prince of Serbia is assassinated. 1886 – The pharmacist John Pemberton places his first advertisement for Coca-Cola, which appeared in The Atlanta Journal . 1900 – N'Djamena is founded as Fort-Lamy by the French commander Émile Gentil. 1903 – In the May Coup, Alexander I, King of Serbia, and Queen Draga, are assassinated in Belgrade by the Black Hand (Crna Ruka) organization. 1913 – Igor Stravinsky's ballet score The Rite of Spring receives its premiere performance in Paris, France, provoking a riot. 1914 – The Ocean liner RMS Empress of Ireland sinks in the Gulf of Saint Lawrence with the loss of 1,012 lives. 1918 – Armenia defeats the Ottoman Army in the Battle of Sardarabad. 1931 – Michele Schirru, a citizen of the United States, is executed by Italian military firing squad for intent to kill Benito Mussolini. 1932 – World War I veterans begin to assemble in Washington, D.C., in the Bonus Army to request cash bonuses promised to them to be paid in 1945. 1948 – United Nations Truce Supervision Organization is founded. 1950 – The St. Roch , the first ship to circumnavigate North America, arrives in Halifax, Nova Scotia, Canada. 1954 – Diane Leather became the first woman to run a mile in under five minutes with a time of 4 minutes and 59.6 seconds at the Alexander Sports Ground, Birmingham, UK. 1964 – The Arab League meets in East Jerusalem to discuss the Palestinian question, leading to the formation of the Palestine Liberation Organization. 1973 – Tom Bradley is elected the first black mayor of Los Angeles, California. 1982 – Pope John Paul II becomes the first pontiff to visit Canterbury Cathedral. 1985 – Heysel Stadium disaster: Thirty-nine association football fans die and hundreds are injured when a dilapidated retaining wall collapses. 1985 – Amputee Steve Fonyo completes cross-Canada marathon at Victoria, British Columbia, after 14 months. 1988 – The U.S. President Ronald Reagan begins his first visit to the Soviet Union when he arrives in Moscow for a superpower summit with the Soviet leader Mikhail Gorbachev. 1989 – Signing of an agreement between Egypt and the United States, allowing the manufacture of parts of the F-16 jet fighter plane in Egypt. 1990 – The Russian parliament elects Boris Yeltsin as president of the Russian Soviet Federative Socialist Republic. 1993 – The Miss Sarajevo beauty pageant is held in war-torn Sarajevo drawing global attention to the plight of its citizens. 1999 – Olusegun Obasanjo takes office as President of Nigeria, the first elected and civilian head of state in Nigeria after 16 years of military rule. 2004 – The National World War II Memorial is dedicated in Washington, D.C.
2008 – A doublet earthquake, of combined magnitude 6.1, strikes Iceland near the town of Selfoss, injuring 30 people. 2012 – A 5.8-magnitude earthquake hits northern Italy near Bologna, killing at least 24 people. 2015 – One World Observatory at One World Trade Center opens. Year 363 (CCCLXIII) was a common year starting on Wednesday of the Julian calendar. 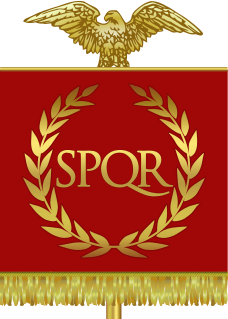 At the time, it was known as the Year of the Consulship of Iulianus and Sallustius. The denomination 363 for this year has been used since the early medieval period, when the Anno Domini calendar era became the prevalent method in Europe for naming years. Julian, also known as Julian the Apostate, was Roman Emperor from 361 to 363, as well as a notable philosopher and author in Greek. 1949 – Cotter Smith, American stage, film, and television actor. 1985 – Blake Foster, American actor and martial artist. Charles, Prince of Viana, sometimes called Charles IV of Navarre, was the son of King John II of Aragon and Queen Blanche I of Navarre. Year 1439 (MCDXXXIX) was a common year starting on Thursday of the Julian calendar. Year 931 (CMXXXI) was a common year starting on Saturday of the Julian calendar. Jimeno II Garcés was the brother of King Sancho I of Pamplona and son of García Jiménez by his second wife, Dadildis of Pallars. When his brother died, Sancho's only son, García, was still a child and Jimeno succeeded his brother. He was not simply acting as regent, as it was only in 930, a year before Jimeno's death, that García began to use the royal title alongside Jimeno. Bona of Pisa was a member of the Third order of the Augustinian nuns who helped lead travellers on pilgrimages. In 1962, she was canonized a saint in the Catholic Church by Pope John XXIII. She is considered the patron saint of travellers, and specifically couriers, guides, pilgrims, flight attendants, and the city of Pisa. Helena Dragaš was the empress consort of Byzantine emperor Manuel II Palaiologos and mother of the last two emperors, John VIII Palaiologos and Constantine XI Palaiologos. Later in life she became a nun. She is venerated as a saint by the Eastern Orthodox Church under her monastic name, as Saint Hypomone (Ὑπομονὴ), translated in English as Saint Patience. Saint Maximin was the fifth bishop of Trier, according to the list provided by the diocese's website, taking his seat in 341/342. Maximin was an opponent of Arianism, and was supported by the courts of Constantine II and Constans, who harboured as an honored guest Athanasius twice during his exile from Alexandria, in 336-37, before he was bishop, and again in 343. In the Arian controversy he had begun in the party of Paul I of Constantinople; however, he took part in the synod of Sardica convoked by Pope Julius I, and when four Arian bishops consequently came from Antioch to Trier with the purpose of winning Emperor Constans to their side, Maximinus refused to receive them and induced the emperor to reject their proposals. 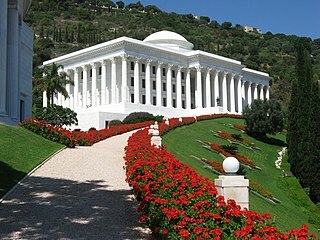 The Bahá'í Faith is a religion teaching the essential worth of all religions, and the unity and equality of all people. Established by Bahá'u'lláh in 1863, it initially grew in Persia and parts of the Middle East, where it has faced ongoing persecution since its inception. It is estimated to have between 5 and 8 million adherents, known as Bahá'ís, spread out into most of the world's countries and territories. March 26 is the 85th day of the year in the Gregorian calendar. 280 days remain until the end of the year. ↑ "Oswaldo Negri, Jr" . Retrieved 25 November 2018. ↑ Hida,, Viloria,. Born both : an intersex life (First ed.). New York. pp. Prologue. ISBN 0316347817. OCLC 976036361. ↑ "Armenian Models Selection, See female & male models of Armenian! | armeniagogo"
↑ Marquez, Letisia. "Obituary: Paula Gunn Allen, 68, noted English, American Indian studies scholar". UCLA Newsroom. Retrieved 2018-11-23. Wikimedia Commons has media related to May 29 .